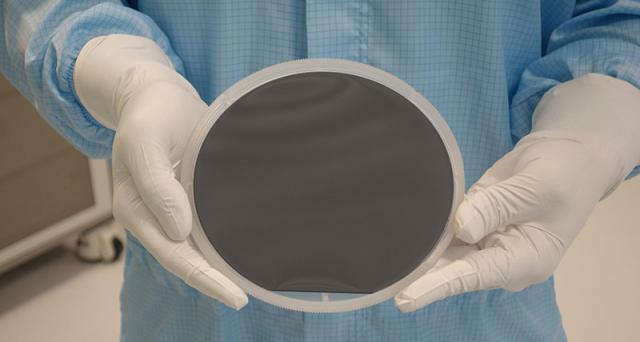 Veeco and ALLOS Semiconductors have completed their micro-LED strategic initiative and demonstrated 200mm GaN-on-Si wafers for blue and green micro-LED production. Veeco transferred ALLOS' proprietary epitaxy technology onto Veeco's Propel Single-Wafer MOCVD System to enable micro-LED production on existing silicon production lines. ALLOS says that it now has an MOCVD technology that is capable of high yielding GaN Epitaxy that meets all the requirements for processing micro-LED devices in 200 millimeter silicon production lines. Within one month the two companies managed to establish the ALLOS technology on Veeco's Propel systems and have achieved crack-free, meltback-free wafers with less than 30 micrometers bow, high crystal quality, superior thickness uniformity and wavelength uniformity of less than one nanometer. Together with Veeco, ALLOS is looking forward to making this technology more widely available to the micro-LED ecosystem.